The Hawaiians used the mountain tops between Alāla Point and Wailea Point to scan the sea for fish. Some maps and other references note the area as Alaʻapapa and Mokulua. In 1920, a bridge was constructed across Kaʻelepulu Stream, giving better access to the area. Before this time, the Windward side was relatively remote. However, in 1921, the Old Pali Road was widened and paved; this helped to initiate the suburban commute across the Koʻolau. Shortly after (1924,) Harold Kainalu Long Castle sold land to developer Charles Russell Frazier (the head of Town and Country Homes, Ltd., which was the real estate division of the Trent Trust Co.) Frazier (primarily a marketing man, but was also developer and chief promoter,) planned the place as a resort community of summer and vacation homes. In the 1920s, reference to the area changed, when Frazier and Richard H Trent made up the name “Lanikai” as a marketing ploy to entice wealthy buyers looking for a vacation home at the development that was references as the “Crescent of Content”. 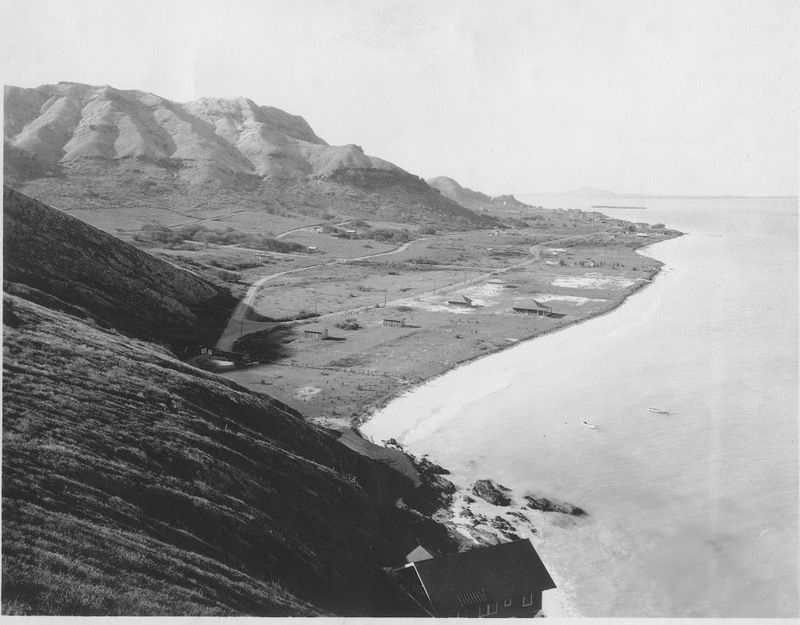 The original lots along Mokulua Drive were numbered #1 through #39, from north to south with lots approximately 75-feet in width by 250-feet in depth, and about 18,000-square feet in area. Beachfront properties were originally sold at an extremely low price, 20-cents per square foot, because of the lack of a windbreak. The company’s many newspaper advertisements, which encouraged Honolulu residents to escape from the city to enjoy the recreational opportunities offered by a beach home. These ads promoted Lanikai as a tranquil place in the country, where a “beach, protected by a reef and favored by landward breezes, is always safe for bathing.” A full-page ad, titled “Lanikai Futuregraph,” placed by Trent Trust featured their vision of the future Lanikai. There was a row of rectangular-shaped beach-front lots, bordered by the ocean on one end and the road on the other, with homes sited near the ocean and large lawns fronting the road. The first lots sold were those along the beach and the inland lots were sold later. At about the same time, Frazier leased a couple-hundred acres of neighboring land from Bishop Estate. He persuaded sixty-five men, many of whom were purchasing his lots and cottages at Lanikai, to commit to a country club project. 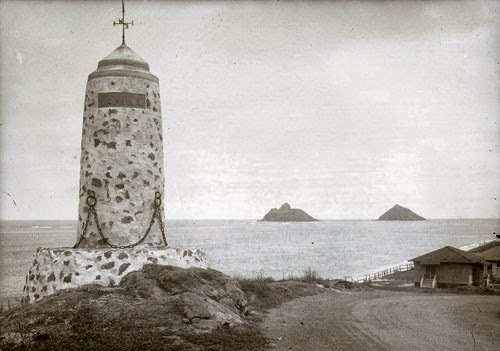 The image shows Kaʻōhao (Lanikai) in the early years. In addition, I have added other related images in a folder of like name in the Photos section on my Facebook and Google+ pages.